It looks like there's going to be a lot in store for us over the next few days at San Diego Comic Con. 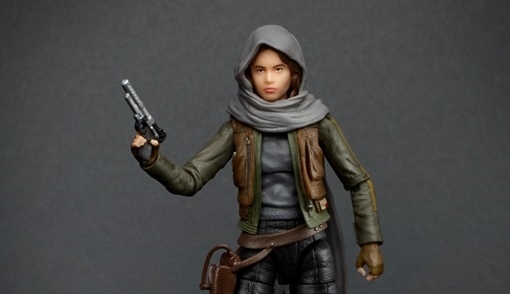 It was previously announced that the first of the new action figures from Rogue One: A Star Wars Story, a 6-inch Jyn Erso Black Series figure (above), would be available exclusively at SDCC this week. Now we've received word that we'll be getting looks at even more Rogue One figures very soon. The figures will most likely be the same ones we saw yesterday via some leaked low quality images. The Star Wars Underworld team is there in San Diego and will be reporting back on any Star Wars news as it happens. Be sure to follow us on Twitter and Instagram for up to the minute updates!